by japantimes.co.jp -- Questions and concerns about Japan are swirling internationally over its treatment of ousted Nissan Motor Co. Chairman Carlos Ghosn, whose detention was extended following his arrest last week over alleged financial misconduct. The arrest of the 64-year-old executive, viewed as the automaker’s savior, came out of the blue. Prosecutors were waiting for him as he arrived at Tokyo’s Haneda airport on a business jet on the evening of Nov. 19. Ghosn, known as one of Japan’s highest paid executives, is confined to a 7-square-meter room at the Tokyo detention center in the northeastern part of the capital, according to the Justice Ministry. The room’s window is designed so the detainee cannot look outside. A toilet and washbasin are nearby, and the detainee must pull a small partition for privacy when using the toilet. A shelf on the wall lacks sharp edges to prevent suicide and self-inflicted injuries. Detainees receive three meals and 30 minutes of exercise a day, and are allowed to shower twice a week. Clothes have been taken to his room and he was seen wearing a “sporty” outfit, said a source familiar with the matter. Tokyo prosecutors have argued that each country has a different legal process and that the detention period for Ghosn, who holds French, Lebanese and Brazilian citizenship, is being decided based on “necessity.” But some overseas media have characterized his treatment as worse than a terror suspect’s and that the living conditions at the detention facility are harsh. In France, a suspect can be detained without a court issuing an arrest warrant during the initial stage of investigation. In such a case, a suspect can be held as long as four days for questioning but is held in principle for 24 hours. Even a suspected terrorist cannot be held more than six days. Lawyers are present during questioning, unlike in Japan. A suspect such as Ghosn would not be held by police for more than two days, according to a criminal lawyer in Paris. Japanese law, meanwhile, sets detention limits for a suspect of 23 days for an arrest warrant served by police and 22 days for a warrant served by prosecutors. But authorities can add further charges with fresh warrants, meaning a person can be detained indefinitely if a court approves. Detention is approved if the suspect is expected to flee or destroy evidence. A court decides on the detention such as by directly questioning the suspect. Criticism over the treatment of Ghosn could build further, as his detention was extended by another 10 days through Dec. 10 based on the Tokyo District Court decision reached Friday. Ghosn has been reading magazines and books brought to him at his request, according to other sources familiar with his situation. He appeared to be in good health but has told people who came to see him that the room is cold and he wants some snacks, they said. Financial newspaper Les Echos termed the Japanese prison system as “particularly severe” for forbidding speech. Major daily Le Figaro wrote that the Tokyo detention center is “well-known to human rights organizations” as prisoners are stifled by isolation and where executions — abolished in France as a human rights violation — occur. It also touched on the fact that a countryman is being held in the same facility as people on death row. Ghosn was arrested Nov. 19 for allegedly violating the Financial Instruments and Exchange Act by underreporting his remuneration in the company securities reports by around ¥5 billion ($44 million) of some ¥10 billion he received over five years until fiscal 2010. He is also alleged to have continued to underreport remuneration beyond the five-year period, and to have misappropriated funds to buy homes abroad for personal use and cover private expenses. Ghosn has told prosecutors he did not report some of his remuneration in the securities reports but insisted it was because the payment had yet to be settled, and he also denied allegations he intentionally falsified securities reports, according to sources close to the matter. 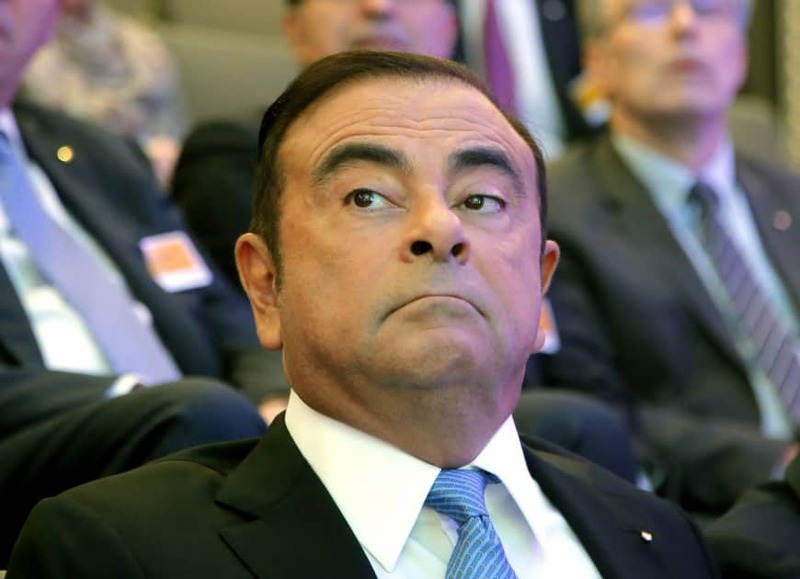 The Wall Street Journal’s editorial board said Monday that Ghosn is “enduring a bizarre inquisition,” and he is “held in detention for days without being charged, interrogated by prosecutors without a lawyer present, and fired from his post amid media leaks claiming he’s guilty of financial malfeasance.” It complained about the lack of transparency of the investigations conducted by Tokyo’s prosecutors and also blasted Ghosn’s treatment as “more appropriate for a yakuza mobster than an international CEO with no previous record of fraud or self-dealing.” As Nissan and its alliance partner Mitsubishi Motors Corp. swiftly dismissed Ghosn from his chairmanships despite the lack of formal charges, speculation has also emerged that Nissan may have plotted the arrest to end Ghosn’s purported plan to merge the Japanese automaker with alliance partner Renault SA. In Lebanon, where Ghosn spent much of his childhood and is seen as a success story among immigrants who fled a war-weary country, the arrest has come as a huge disappointment. A Lebanese friend of Ghosn said the incident must be a conspiracy to oust Renault and protect Nissan. Ghosn was initially dispatched by Renault in 1999 as part of a capital tie-up to save Nissan from bankruptcy. He was the crucial linchpin of the complex tripartite partnership, which also involves the French government — the top shareholder in Renault with a stake of about 15 percent. “An investigation is immensely important. Something stinks,” stated Lebanese Information Minister Melhem Riachi. A Lebanese Foreign Ministry official lamented that the country’s ambassador in Japan had to bring Ghosn a mattress because he was sleeping on a carpet. The Lebanese government has called on Japan to come up with a transparent and fair solution, and ensure adequate time for Ghosn to meet with family members and lawyers. Uncertainties remain over Ghosn’s fate. But if he is served a fresh arrest warrant on Dec. 10 or later, he may end up staying in the detention center during the Christmas and New Year holidays.